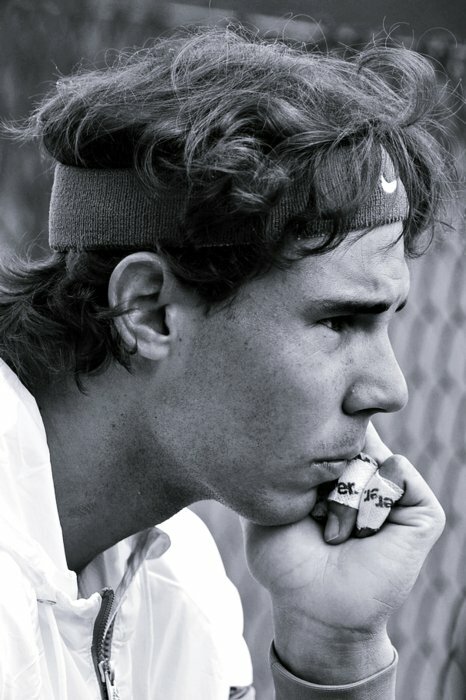 Rafael Nadal, recently pilloried in an interview in a British magazine for what was described as his conveniently poor English, was at his eloquent and charming best as he looked forward to the most poignant of anniversaries. The Spaniard, seeking to reclaim some of his aura at the US Open in two weeks' time after losing the world No1 spot to Novak Djokovic at Wimbledon, talked here of how he vividly remembers 9/11, when terrorists ploughed hijacked planes into the Twin Towers in New York 10 years ago, killing nearly 3,000 people. "I was playing a match to win my first ATP points [in Madrid]," he said, "and I lost [after holding] 13 match points [to Guillermo Platel]. Just after that match I saw the tragedy on TV. I was really sad about my match, because the first ATP point is always important. But, when I came back to the locker room and I saw that on TV, I forgot the match in one second." He also said: "I was there in the Twin Towers a few months before, at the top. On the TV, that's one of the views that had the biggest impact on me." There will be commemorations during the Open at Flushing Meadows and emotions will be high. Tennis, meanwhile, rolls on here at the Cincinnati Open. This is the first time the 111-year-old event has held the men's and women's tournaments in the same week – which is great value for spectators and a pain for players squeezed into practice facilities and the hotels around Mason, a small city south-west of Cincinnati with a population of 22,000 and the venue since 1979. Nadal welcomed the innovation as a marketing exercise while pointing out its inconvenience in practical terms. Overcrowding might be the least of their worries, though, as Nadal, Roger Federer and Andy Murray regroup before New York after dreadful defeats at the Rogers Cup in Montreal. As ever, Nadal put his defeat in an agreeable context. "Losing is the toughest part of the game," he said, "but, at the same time, it's the really beautiful part of the game. If you don't lose, you cannot enjoy the victories. So I have to accept both things." Kipling could not have put it better. Nadal said he could not bring himself to watch the final but acknowledged the winner, Djokovic, was now "a very complete player".